It’s been an interesting year. I started getting excited about the holidays in November…okay, before Halloween. Maybe it’s because they have announced that it will be a snowy Winter, or maybe it’s just…because. Do I really need a reason? Here’s what I can’t wait for. There is nothing more festive than a glass of bubbly. It starts with the nervous feeling I get before the pop. Will we break a window or take out someone’s eye? (No, it has never actually happened, but I have seen a cork fly out of the room, so really, it’s just a matter of time.) To the rush of getting the glasses underneath the bottle on time, lining them up, and the inevitable ‘who has more’ debate, to evening it out. A cheers with the family to health and celebrating our blessings is one of my favorite rituals. I love watching everyone’s faces turn a little pinker, and the smiles around the table get a little wider, as we indulge in a bottle. I am a person who wraps fairy lights around any plant that can support them. I have fairy lights on the hutch in my dining room. I also have strings of lights on all summer long. So when the holidays approach and stores start holiday decorating on my street, I get excited. I love that the small businesses in my neighborhood keep the holiday lights on all winter. Nothing makes the walk home in -30 degrees a little easier to bear, than lights in store windows, and knowing that a lit tree awaits me at home. I made spaghetti this Thanksgiving so I skipped the pumpkin pie because that would be a weird combination. This won’t happen during the holidays. I am so inspired by the millions of recipes on Pinterest for everything pumpkin, gingerbread and crushed candy cane related. I try to force myself (or my hubbie) to bake at least once during the holidays because the smells are so intoxicating. I bought a cinnamon scented soap in October to get the ball rolling early on the holidays. I am obsessed with looking for new ideas for holiday decorating. I fall somewhere in between the emotional decorating (aka The Griswold’s), and a tasteful Scandinavian Christmas. I think all white lights on a tree show incredible restraint, and look great in magazines; but I prefer lots of small colored lights with some pink bulbs. 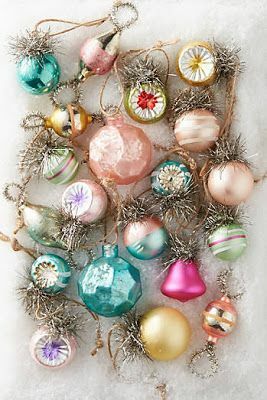 I also love to hang decorations on tall branches I put in a vase. This time of year brings out the arts-and-crafter in me. This year I want to hang stars I make out of branches I collected on a Fall walk. I try to hand make one thing every year. I usually set aside one morning to wrap all my gifts a few days before Christmas so that this time can be relaxing, and not a stressful last-minute battle with the tape. Have you been able to sit back and read a book lately? I love reading, but I haven’t had the concentration it takes since my summer vacation. I can’t wait to have a few days to lounge and get into a good book or two. What are you reading? As soon as I see trees for sale in my neighborhood, I want one. I usually restrain myself for at least a week. (We always buy one that gives some of the profits to a charity.) We all know smells have the power to transport us, and pine evokes my pure childhood joy. I bought a velvet wrap blazer/blouse in September with the knowledge that I would wear it over the holidays. I love the sparkle, parties, and excuse to dress up. What will you be wearing? I’m usually about the statement earrings or necklace myself. Let’s face it, what better excuse is there to wear pj’s for days in a row while watching your favorite binge-worthy shows or holidays classics? The days start with cups of coffee and eventually turn into glasses of wine into the late afternoon. Maybe falling asleep by the fire (or candlelight) while something plays in the background? That feeling of relaxation after the craziness is delicious. So is the walk you take, or the time spent playing with the kids outside as you make new memories together.